Pursuing independence in the workplace has become more desirable in the last decade. While some professionals develop their careers with well-known corporations, there are others, like me, who aim to use their skills on their own terms, and in their own place: out of the office. 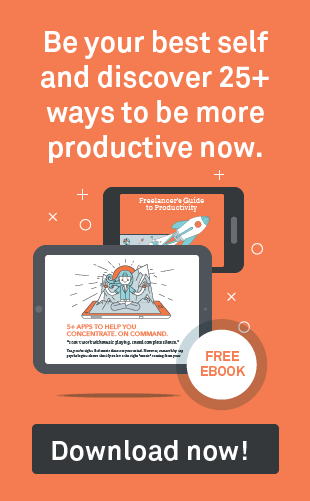 This new way of working often means skipping the traditional 9 to 5 and searching for clients on every available project board, to ensure a steady income. It’s not for everyone; many quit after a short period of time, discouraged by the challenges and lack of stability. But if you’re lucky enough to find the perfect combination between the two worlds, you can achieve independence and a great working environment! Let me share my experience working in a virtual team with Wings4U. Together with other people based in eight different countries, on three different continents, I work to deliver a customer reference program to an international blue-chip company. As a freelancer, the main challenge is to meet the deadline while ensuring your work is of a high quality. Alone, that often means countless hours spent on research to find the perfect solutions to problems that come up during the process. In a virtual team, you have access to a variety of mentalities, ways of doing work and grades of experience. It is much easier to break through the bottleneck that keeps you from progressing when you can reach out to your peers and gain a fresh perspective. If you are able to freelance with others to complete a project or deliver an ongoing program, you are no longer striving on you own. A virtual culture – run well - basically works the same as a traditional office culture, although you’re not sharing the same work space. You get to be part of a common effort in developing a project which can bring a sense of belonging for virtual team culture: a great way to create more ambition and build momentum. Who wouldn’t like to learn about the wide variety of cultures around the world? Starting your morning by having a coffee with a colleague from another continent makes it an even more exciting start. Diversity in background and culture is a strong characteristic of virtual teams that can be hard to find in traditional work environments. And we see it as a true asset, a never ending source of knowledge that helps us thrive in a virtual team culture. When you no longer have an IT department nearby ready to fix everything, or the possibility of a quick team meeting for brainstorming, you have to get creative in order to overcome possible setbacks. As opposed to a traditional office, at Wings4U we are encouraged to use our skills towards finding solutions and making the project successful. Each work day is unique and a virtual team is not micro-managed. This can become an empowering benefit, as we take initiative and test our ideas until we come up with the best solution to work efficiently. We are all managing ourselves and constantly monitoring the results. 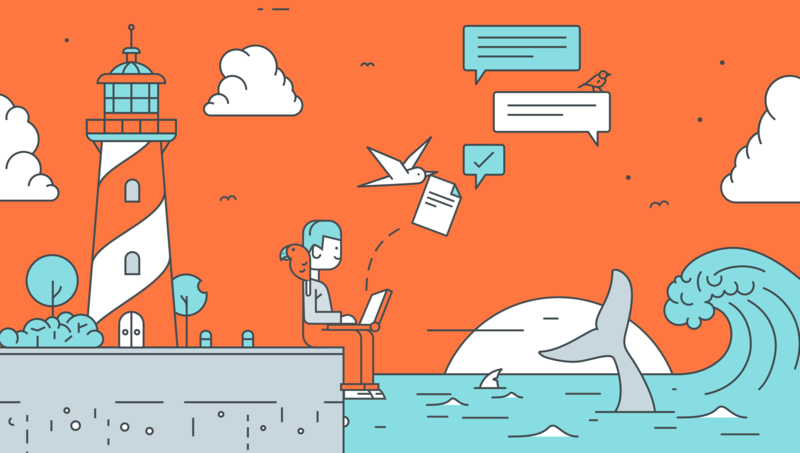 The main challenges for many freelancers are distractions and stress that prevent them from being more productive. Time is not something that can be bought or recovered. To shut out the world and focus on the task at hand is a skill that must be practiced daily. With a virtual team, sharing tips and ideas on productivity is a great way to foster team unity. Working in a virtual team builds valuable experience. You learn how to effectively communicate and cooperate, get a detailed overview of the industry you are active in and learn how to truly work independently, while not working alone. Working as a freelancer mainly means working from home, coffee shops, gardens, basically anywhere you have internet connection. This not only eliminates the daily commute, but it gives you the opportunity to spend more quality time with your loved ones. Reaching a good work-life balance is not an easy task these days, but it’s a benefit of working remotely and choosing to be part of a virtual team. How about helping your child with homework in between meetings? Or having dinner with your family every evening? Flexible working hours can give you the chance to plan around family events while maintaining high productivity. The struggle to concentrate in open space offices is real. There is a lot of background noise, agitation, bad lightning and many other stress sources. All of these factors are controllable in the comfort of your own home. Imagine creating your own office space in the quietest part of your house, with lots of natural light from the outside and no distractions. This is not only ideal for reducing stress, but also for taking care of the environment by making green choices every day. Office buildings constantly use a lot of resources, thus causing damage to the environment. At home, you can invest the money you save on gas and daily commuting in energy-saving light bulbs, recycling units or water filters. It is a fantastic opportunity to improve one’s quality of life while going green. I love this new way of working, for all the reasons above. Work at your own pace, in you most familiar working environment ever! Maybe not for everyone, but definitely for me.